Full color California Triple Crown logo on the front. Customized with the names of the Double Centuries you successfully completed!! There isn't much room to print the Custom Text lines below the logo. If you don't specify any Custom Text, we will place the logo along with any possible Customization around the logo on both sides of the mug. 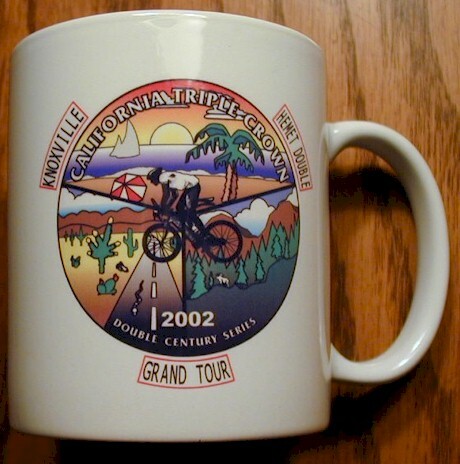 If you do specify any Custom Text, we will place the Custom Text on one side of the Mug and the Logo on the other side of the Mug so we don't run out of room. 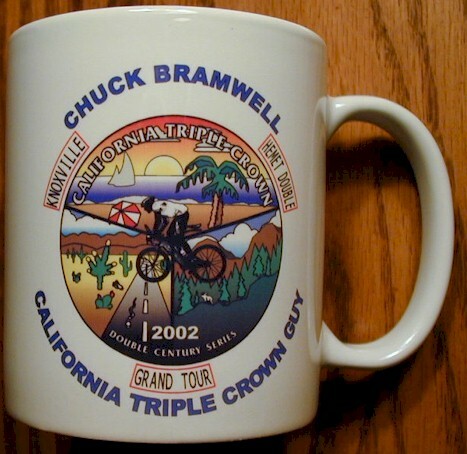 This California Triple Crown Mug will look REALLY EXCELLENT on your Desk! !